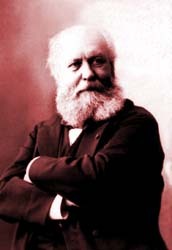 Charles GOUNOD : The Website ! You will discover on this site a complete biography which includes unpublished documents, a list of Gound’s more than six hundred works, a discography and bibliography, conferences and letters, all illustrated with numerous photographic documents, etchings and paintings. Do not expect, however, to find herein a plethora multimedia effects. I prefer to privilege ease of use, and to allow those who do not necessarily have the last version of various navigators, or huge memories, to have easy access to all the information and pages of this site. I wish to thank the Municipal Museum of Saint-Cloud; its beautiful catalog, published for the centenary of Gounod's death, was most useful to me. I especially thank my late grandfather Jean-Pierre Gounod for his encouragement and for the numerous documents he provided to me. Without his help, this site would not have been as complete. And now, dive into the information, enjoy, and do not hesitate to contact me if you wish more info or simply if you have comments about the site. " 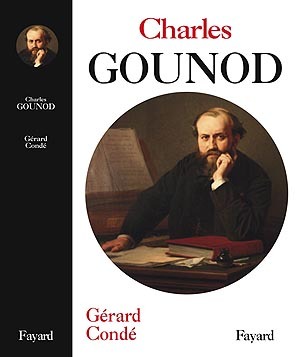 A new book about Charles Gounod (1086 pages) ! Thank you to our friend Gérard Condé for his wonderfull work. "LA REINE DE SABA" DE CHARLES GOUNOD. An Unknown French Masonic Opera: La Reine de Saba by Charles Gounod.